There have been many report that their Facebook account has been hacked by the anonymous. My cousin also report that his Facebook account being hacked even he use a fairly strong password and really keep his password safe. Even Amit Argawal from Labnol also has been hacked recently, read his post “My Facebook Account Got Hacked“. “I no longer have access to my Facebook pages!”, said Amit in his blog post. As the technology journalist i’m pretty sure that he used a strong password for all of his account. But in fact the attacker could hack his account from his security question. This is really not cool! A while ago i wrote “Caution! 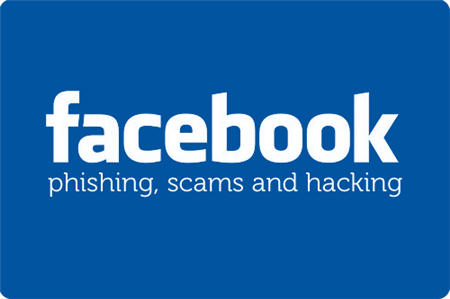 Facebook Phising Attack!“, where the attacker ask you to input your username and password in their Facebook Scam or Phishing website. And there are also some report that Blackberry user also got their Facebook account been hacked. I guess using unsafe 3rd party application in mobile phone also make a disaster for your account. It is really easy to send your username and password to 3rd party from your mobile phone. Using your Facebook account from public computer also cause a security breach in your Facebook account. You don’t know if that public computer is safe to type in your password. Unsafe Wireless Hotspot connection also easily intercept by someone in the middle and got your Facebook username and password. I wish someday that Facebook will implement 2 steps verification like Google does for their Google Account. This technique will definitely reduced the possibility being hacked. Since the attacker will work twice harder to get into your account. And you also need to input twice just to login to your account. Keep your password safe and secure and change it periodically. Good luck and stay safe!. indeed! hope someday Facebook using 2-steps verification. Even after using a fairly strong password and really keeping password safe face book account gets hacked.. using unsafe 3rd party application in mobile phone also make a disaster for account. It is really easy to send your username and password to 3rd party from your mobile phone.